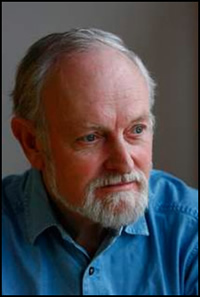 Richard Stilgoe has spent fifty years as a performer and writer in all forms of the performing arts. On television he appeared on Nationwide, That's Life and several series of his own. On stage he toured for many years with his one-man show and subsequently his two-man show with Peter Skellern. He wrote lyrics for Cats, Starlight Express and The Phantom of the Opera and music and lyrics for Bodywork , Brilliant the Dinosaur, ‘Orpheus – the Mythical’ and Road Rage. His broadcasting work has earned him the New York Radio Festival Gold Award, three Monaco Festival Prizes and the Prix Italia. Richard sits on various boards involved in music education. In 1997 he founded the Orpheus Centre in Surrey, where young disabled people prepare for independent living through a series of performing arts courses.